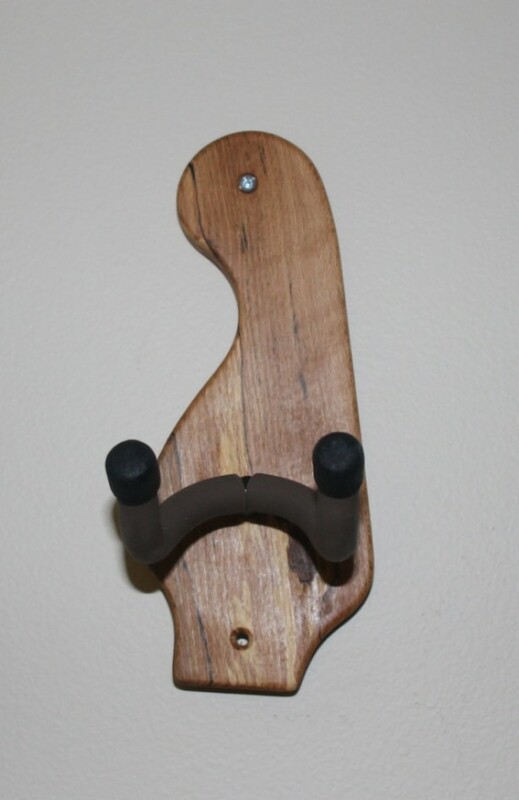 Single Guitar wall mounted hanger styled after a Left handed Fender Mustang Guitar. 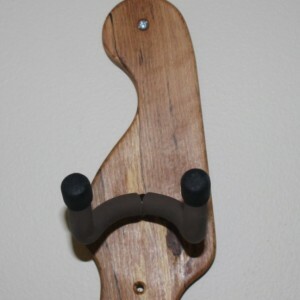 This hanger is made in my last available piece of Splated Beech for a one of a kind piece. Includes Hanger, mounting screws, wall anchors and mounting instructions. Hanger style may vary slightly from what is shown. Makes a great gift! Guitar not included. 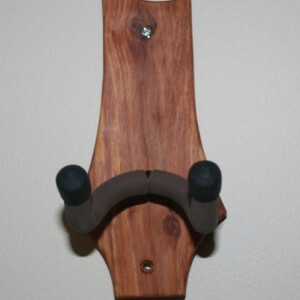 Guitar hanger shown is the item you will receive, ships in 1-3 days by USPS priority mail. Contact me for international shipping. Thanks for looking!